The Carriage House Room is located in a separate building on the property, directly behind the main house. 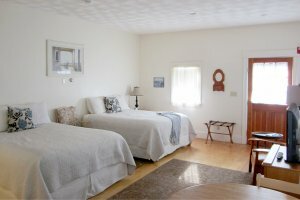 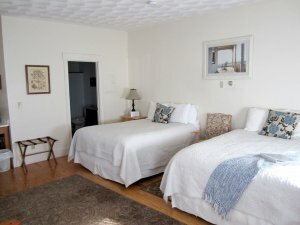 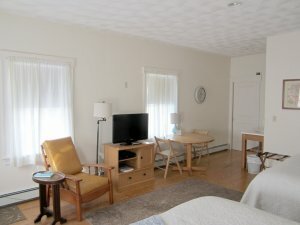 The Carriage House has two queen beds, a large private bath, television, air conditioning, and telephone. 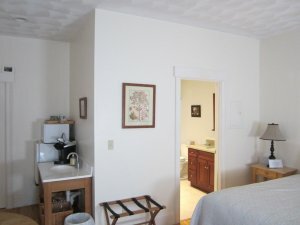 There is a mini kitchen with the addition of a second sink, microwave, and refrigerator. 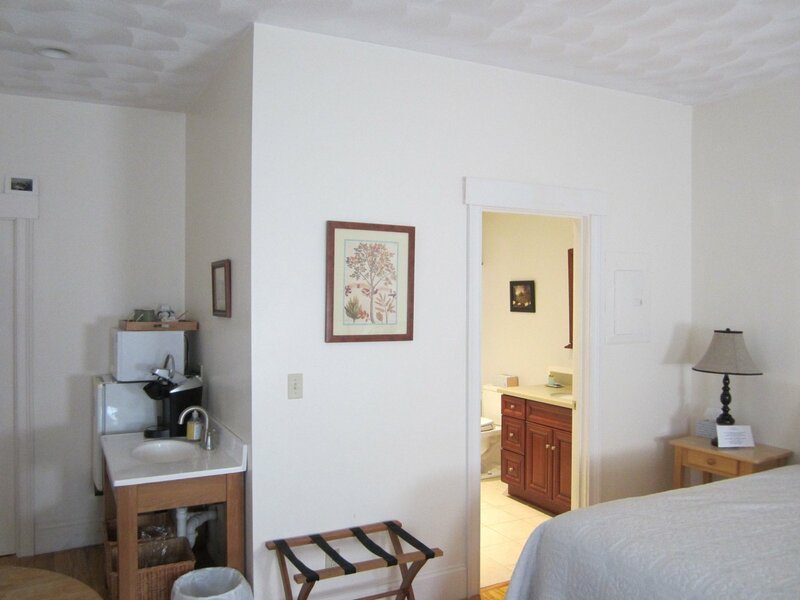 This is a very comfortable large room with all of the amenities you would need to stay for more than a night or two. It is on the ground floor, although it is not a "handicapped" room it has worked well for guests needing easier access. 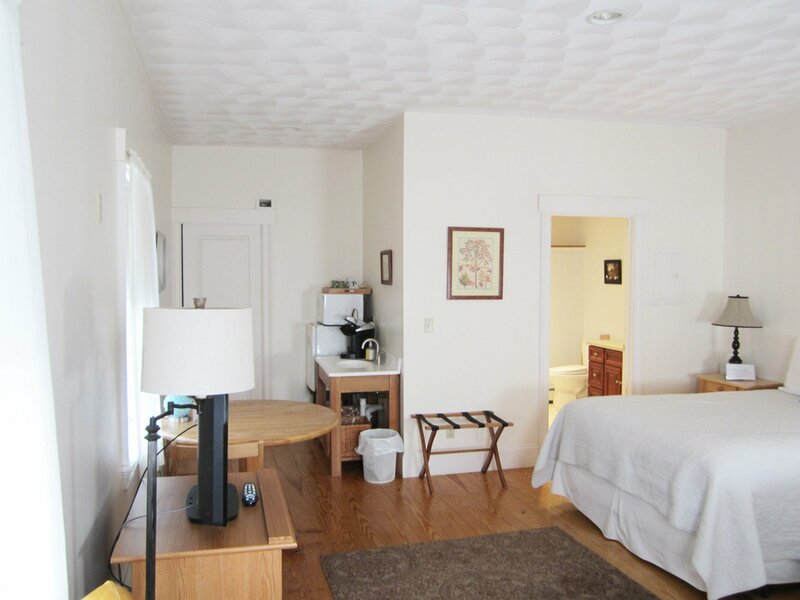 Wireless internet provides fast internet access with FIOS broadband. This room is ideal for families, wanting to stay longer than a night or two.